Chickadvisor has been so good to us lately! 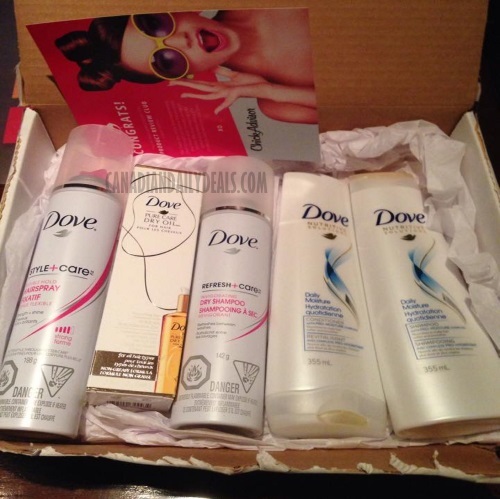 A few days ago I got my package from Chickadvisor with the Dove Haircare campaign items! This campaign included getting to try out 5 full-size Dove haircare products! I received a hairspray, dry oil, dry shampoo, and shampoo and conditioner! I am so excited to be able to try out all these products. If you aren't a Chickadvisor member yet, I very much recommend them! When you join their Product Review Club you will be offered the chance to try out free products for reviews. I also blog all their campaigns here (see all our Chickadvisor posts here) and share them with you all on social media as well so that you don't miss a thing. After you join, make sure you complete at least 5 reviews (on any products that you've tried yourself, this can be basically anything) and complete your profile to better your chance of being chosen. What did you get in the mail recently? Please share on our Facebook Page.